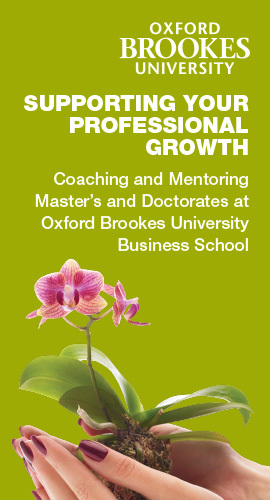 The number of coach and mentor training programmes available on the market has grown exponentially over the past decade as training companies, specialist professional bodies and universities have all stepped forward to meet the market demands for coaching & mentoring services. You can now engage in short focused one and two day programmes, a Certificate, Diploma, Masters or even a specialised professional Doctorate or PhD in coaching and/or mentoring. Recently, qualifications in coaching and mentoring supervision as well as team or group coaching have also been added to the menu of options. If you are thinking about becoming a coach or mentor, or enrolling on a training programme we recommend that you download and review our FAQ sheets which contains practical advice and guidance that may be of assistance to you in navigating the complex array of options. Coaching and mentoring as a domain is generally considered to be ‘self-regulated’, with some members of the professional community believing that coaching and mentoring should be formally regulated. Others, however, consider that coaching and mentoring are ‘activities’ or an ‘approach’ that can be used by anyone and that regulation would restrict the use of these activities in many areas of business or life. Whilst coaching and mentoring activities do not generally fall under a formal regulatory framework, if you are considering offering coaching or mentoring as a ‘professional service’ then it is important to check whether or not the coaching or mentoring you are intending to offer contains approaches, methods of activities that would or could be considered to fall under the regulatory framework of an established professional domain. The main area of overlap that has received attention in the wider coaching and mentoring community is with the ‘health professions’ (e.g. Psychology, Counselling & Psychotherapy). A spotlight was thrown on the complications that the overlap between coaching activities and services traditionally offered by psychotherapists has been highlighted by the approach taken health authorities in Colorado in the United States of America (USA). In Colorado, it is the health care practices themselves and not what the practices are called which form the basis of the regulatory framework. Dr Amos Martinez PhD published an article COACHING: Does it constitute the practice of psychotherapy http://www.amftrb.org/coaching.cfm to clarify the situation in this specific State of the USA. Whilst the article is specific to Colorado in the US, Dr Martinez eloquently covers the kinds of issues that you could encounter wherever the professional activities of psychology, psychotherapy and counselling are regulated by a Health Care authority. This is sound advice no matter where you are in the world. If you are considering offering coaching or mentoring as a professional service, it may be wise to seek legal as well as business advice before offering services to the public. It is also worth bearing in mind that whilst health regulation is the most common area of overlap, it is not the only area of regulated practice that applies to the activities some professional coaches integrate within their practice. In practical terms, there are generally no restrictions on practice other than client preferences and market conditions. There is also no single approach to training or national/international professional body that we can recommend that you join. There is on the other hand a very wide range of highly respected professional associations and bodies (some large and some small) that you can choose from to support your practice as a coach or mentor. Irrespective of who you are or what your preferred approach to coaching is, there is a professional body, association or community which suits your preferred style or approach. If you are an established business professional in consulting services or a provider of psychological or counselling services then your main professional body is likely to cover your coaching activities. Whether or not you join another more specialised body for coaching or mentoring as well, is a matter of personal preference and choice. You can find links to professional bodies which specialise in providing support for the coaching and mentoring sector in our links section. What if formal regulation for coaching or mentoring activities is put into place? In the event of specialist regulation of coaching coming into force in your country, region or territory, it is common practice for a consultation process to be held and for some form of ‘grand-parenting’ process to be put into place. The process of developing regulation for the established professions is complex. In the UK the HCPC which covers the profession of Psychology is a good example. Establishing and implementing a regulatory framework is a lengthy process and usually implemented after a period of consultation. Additional information about this kind of activity in the wider community can be found in our news section. If you decide to offer professional services as a coach or mentor it is important to monitor news and information in your region so you can respond appropriately if, or when this becomes necessary. We hope this information based on our knowledge and experience of the coaching and mentoring community has been helpful. However, if you have any specific questions, please do join our forum where you can access members of the coaching and mentoring network community online. Free Guide: How do I become a coach?